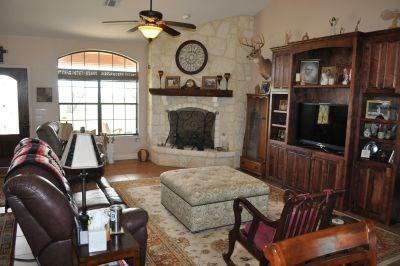 This custom built 3bd/3ba ranch style home sits on over 45 acres and was built in 2010. Nestled atop the highest point of the property with large wrap around front porch. 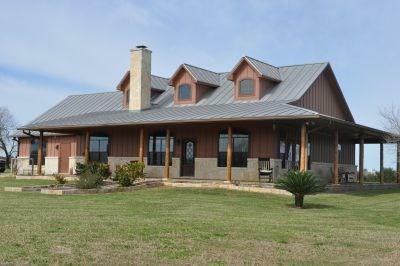 The home is features standing seam roof, open floor plan, large master suite and a spacious guest suite. 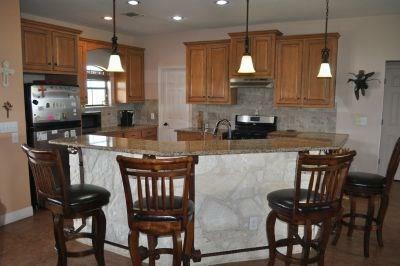 The kitchen features custom cabinets, granite counters, eat in kitchen bar, gas range, and large pantry. The utility/mud room features lots of storage, a work area, sink, kinetico water filtration system. The grounds are well landscape and offer seating areas with views. A detached 80X30 metal barn on a slab with an enclosed one room apartment. The barn is insulated and has 4 roll up doors and an attached 24X30 lean to. The land features 45+ rolling manicured acres of jiggs Bermuda. 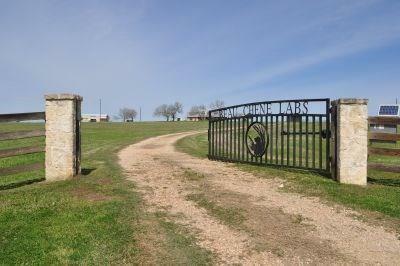 Road frontage on two sides and, two ponds, and 4 water wells round out the land features.